Do you remember “waterfall scenes” from Bahubali? Any guesses about this beautiful location? Well, the place is located in Kerala! Not just Bahubali but there are many famous Indian movies shot in Kerala made those places very popular. If you are planning for Kerala trip and want to learn about those magical places made popular by famous movies, this article is for you. Film shooting often takes us to dream paradise by showcasing some best shots and locations. It makes us believe that there is beauty on Earth and life can be the bed of roses. Much of a film shoot is done outdoors than in the studios. The hunt for a suitable location begins known as location scouting by the location scout. There are several aspects to keep in mind so that the finance of the film is not over budgeted and the producers do not turn to Agony Aunts. There cannot be a better option than Heaven on Earth, God’s Own Country- Kerala. Kerala fulfills all the requirements that are needed for a film shoot. It has all the aesthetic beauty. If you are looking in for Beaches, Waterfalls, Hill Stations, Historical Caves, Ghats, Dams, Wildlife, the state situated on India’s topical Malabar Coast has it all. The production cost is reasonable. The place is logistically feasible. There are many domestic and international airports like Cochin International Airport, Calicut International Airport, and Trivandrum International Airport. The place can be reached by road, water, and rail as well. The weather of 600 km of Arabian Sea shoreline makes it apt to shoot indoors and outdoors as well. If you have been dumbstruck looking at the Bahubali key poster where Bahubali held the stone of Shivling on his shoulder at the backdrop of mighty waterfalls and wondered if could be a piece of photoshop, well its Athirappally WaterFall – Thrissur, Kerala, that makes the poster so real. The scene shoot was held at the Athirappally Falls known by Indian Niagara falls. People all over the world come to witness the breathtaking view of nature. The view of the upstream and downstream of the waterfall keeps one captivated. It is known as the most significant waterfall in Kerala. The natives call it Suren Chellakutti Falls who do not mind plunging it the cold forest water during monsoons, to experience the tranquillity of this place. The best time to experience and get some spellbound cinematography, it is ideal to visit this place is Monsoon. 2. “Guru” was Here – Barso Re Megha Song! Kerala has been the Paris for lovers. Amidst the nature of sky, air, water, parakeet, there is a sweet smell of romance that lingers in the air. The movie Guru captured this very essence in the song ‘Barso Re Megha’. When Aishwarya Rai Bachchan danced to the tunes of A.R. Rahman, not only did the dance made the sensation everywhere, but it was the backdrop of the song that acclaimed much praise. Athirappally Falls the favorite amongst the directors hence. The rains that the song showed were all real and it was the waterfalls that gave a cutting edge to the entire song. Do visit this place during the monsoons, (June to November), when Athirappally falls the neck of the woods. How can one forget the song “Kashmir Main, Tu Kanyakumari”! Shot amid the confluence of three mountain streams of Munnar, this song has broken many records. Shot in Devikulam, 8 km from Munnar, it has enthralled of tea, coffee and spice plantations. This hill station is an exotic honeymoon destination. Munnar is famous for its Neelakurinji blossoms that bloom to its glory all over the place. Neelakurinji blossoms every twelve years and 2018 is the year when between April 2018 to August 2018, the entire region will become blue with 40 odd varieties of this flower. To witness the amour in the air, this place becomes the much-awaited destination for romance. Whether you want to embrace your partner betwixt and between of tea estates or ride on a safari at Rajamali National Park in Eravikulam, from taking historic photographs at the hill station top to enjoying river rafting activities in Munnar, this place has it all. The song ‘Titli’ from the popular movie Chennai Express by Deepika Padukone was shot at the Messapulimala hill station. When the actress, Deepika Padukone swayed herself onto the World’s highest tea plantation, the entire shot becomes a picture-perfect Kodak moment. Messapulimala is the second highest peak in the Idukki district of Western Ghats and is known to be the highest trek-able peak in South India. Via Rhodo Valley Trekking to this area is a beautiful adventure. The land currently seeks many adventure enthusiasts to be their favorite tourist destination. Summers (March-May) is an excellent time to be here to be a gawker and enjoy the locus. Director Ang Lee couldn’t have thought of a better location to shoot for ‘Life of Pi’ than in the beauty of Munnar in Kerala. 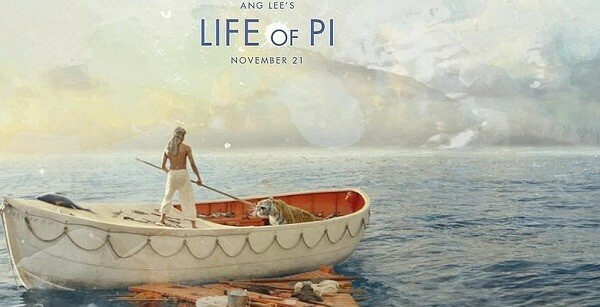 The famous Hollywood movie is all about on how Pi Patel named boy survives on a lifeboat along with a Bengal tiger after his ship was wrecked in the Pacific Ocean. Munnar’s Tea Gardens and Rose Gardens were shot during the making of the movie for several scenes. Munnar incorporates all the elements of nature. It is closed to nature and showcases the beauty of the megacosm with full wright. The cinema’s cape of ‘Tu Hi Re…’ was shot in the heart of Kerala’s most massive fort, Bekal Fort. The song won many accolades and is a famous love song all over the nation. The song sung by legendary singer Hariharan is a love ballad showcasing how Shekhar (Arvind Swamy) sings for love of his life Shaila Bano (Manisha Koirala) when there is bitterness of separation dwelling between them. The song shot shows the grand architecture of Bekal Fort with its greenery on one side and beach to the other with the enchanting view of Arabian Sea. The place is captured aptly during the monsoons from March to May. The exotic location of Dil Se movie song ‘Jiya Jale’ has marked an impression in the minds of many due to its sensuous dance performance, Lata Mangeshkar’s charismatic voice and music legend A.R Rehman’s contribution and the weathered backdrop just added icing to the cake. The song filmed on Shahrukh Khan and Preity Zinta was shot at Thekkady, Idukki. Thekkady is famous for adventures Bamboo rafting and wildlife, much of it is seen in the song. The majestic mammoths in the song brighten up the intoxicated environment around. Thekkady is known for bewitching the images of elephants. The song has won many hearts and the picturesque remains vibrant in the minds for years. The lustful greenery of Thekkady ought to pull its tourists for some reasons. It is eminent for boating and bamboo rafting activities. Thekkady’s Periyar National Park offers a pleasant walk. The elephant treks and wildlife safari makes every wild-life lover in complete awe with. The sanctuary is rich with vegetation, flora, and fauna and one can have a close watch onto wild-life. This land can be best explored from October to February to witness its unending chains of hills. 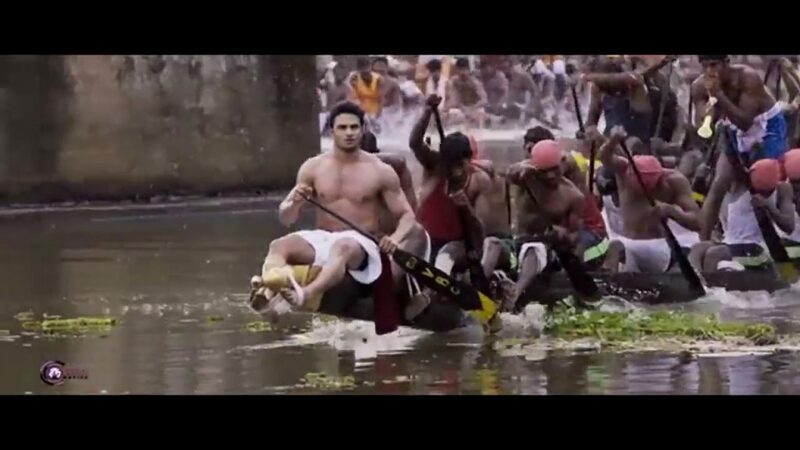 The movie Ek Deewana Tha was shot in Alleppey. The churches and houseboats in the film are a blessing known as Venice from East, Alleppey. Tourists can enjoy spine-tingling experiences throughout the year except March to May being the peak summers and witness the shoot locations to capture immoral moments. The terrain of Kerala invites every nature lover to come and be one with nature. Every visitor ought to fall in love with the Athirappally and Vazhacha Waterfalls near Thrissur or Bolgatty Palace in Kochi harbor, be it the Chettuva Backwaters of Thrissur or Parambikkulam Tiger Reserve in Coimbatore. Kerala has much more in store than it shows on the map. Exploring is the best way to know this place. Take your trip today and tick that favorite destination from your bucket list!